New, linerless, single sided, 10 color flattened bottle cap discount combo pack. Big savings!! 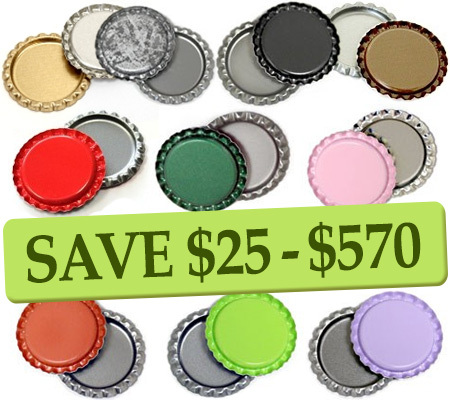 Perfect for your next party, craft or business venture that requires multiple colors in a discounted bottle cap package. *Bottle Caps in this package are traditional, flattened, linerless caps with color on one side. 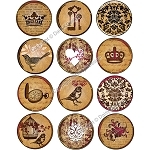 Bottle Cap Size: Standard 1" diameter inside and top of cap.